1. Take the chest measurement as shown by the graph on the left. ROUND UP if the resulting greater than 0.5" than the lower mark. Please note that cotton-based jackets usually shrink on torso and arm length after washing. The sizing instructions here have already taken shrinkage into consideration. 1. Take the waist measurement as shown by the graph on the left. 1.Take your face measurement as shown by the graph on the left. 1. Take your palm measurement as shown by the graph on the left. Make sure it is the circumference of your hand at the position of the black arrowed line. 2. Add 0.5" to the resulting measurement from 1 for this glove. 7" 7.5" 8" 8.5" 9" 9.5" 10" 10.5" 11"
Your feet size (in length) plus 15--20 mm. Please note fencing shoes are in MEN's size ONLY! 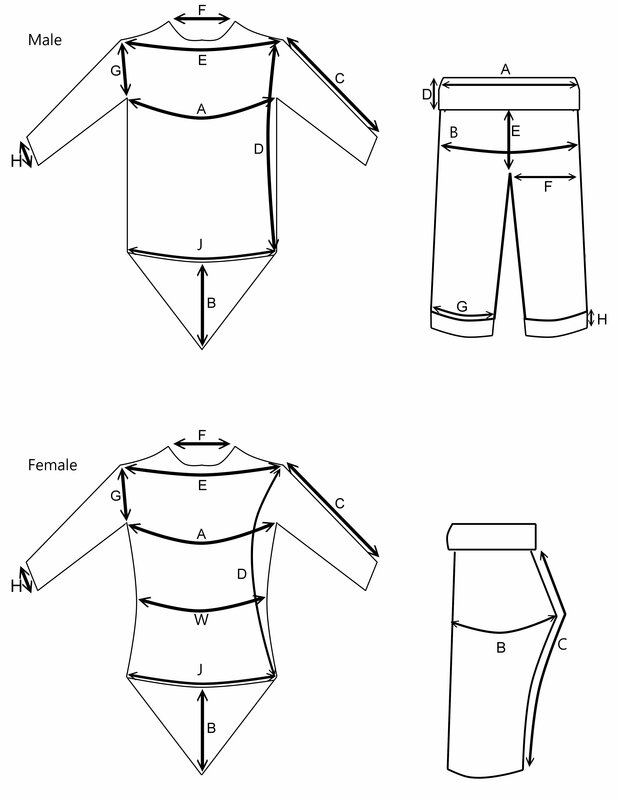 Women size = Men's size -1 (90% accurate). For example, if you wear women's size 9, size 8 in men's should be good for you.